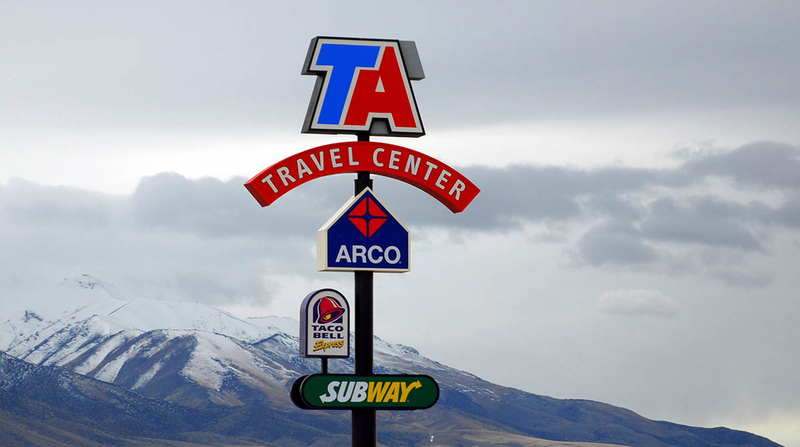 TravelCenters of America plans to launch this summer TA Express, with smaller outlets offering quicker in-and-out service from its TA and Petro Stopping Centers. TA Express is designed to give prospective franchises another option for working with TravelCenters. The company said it would soon announce franchise locations. TravelCenters seeks to grow beyond its core market of Class 8 trucks into Classes 4-7 that include private, for-hire fleets and small- to medium-size businesses, according to a March investor presentation from the Westlake, Ohio-based company. A typical TravelCenters site includes about 200 parking spots on 26 acres with showers, laundry and other amenities. A smaller site offers about 80 parking spaces on 9 to 13 acres and fewer amenities. TA Express shops will accept the same fuel programs and payment options as other TA outlets. Professional drivers also will be able to earn and redeem points from TravelCenters’ UltraOne program. TA already operates convenience stores that retail gasoline under the Minit Mart brand, but these generally target consumers, not professional drivers.